Who doesn't love their morning coffee to-go? With three million cups enjoyed each day, it's a real romance for most of us. Sadly up to a billion takeaway coffee cups end up in landfill every year and many in our oceans. They take years to degrade or just break into smaller pieces causing damage on land and in the sea. Here's some business, industry and packaging expert advice on how to make your next coffee guilt-free. Biodegradable cups are not guilt free either! Generally, biodegradable cups are great IF they are disposed of in a commercial grade composter, less so in a home compost bin. They cannot go in recycling bins*. If they are thrown in the general waste that goes to landfill, they emit climate-damaging methane gas as they break down; the very worst of the greenhouse gases. Reusable cups are on the rise. Benjamin Young of FrankGreen says 'We have found that 50% of our customers have never used a reusable product before'. Many do not go back to disposable cups once investing in a reusable. The benefits and experience are continually improving. You can customize the colours that suit your style, grab discounts, loyalty or reward points from some cafes, and even pay with your cup using CafePay. 'It's all about behavior change and turning using reusables into habit and ritual. The rewards help create the habit'. AVOID using a takeaway cup – Sit, sip and relax in your local cafe. REUSE if you're having it on the go, choose one of many reusable products on the market, such as FrankGreen, Joco or KeepCups**. Only accept biodegradable cups if you have a compost facility nearby. If you must use a takeaway cup, put it in the general rubbish bin - not the recycling bin. There are moves to shake up the recycling process to make it easier to separate out takeaway cups. 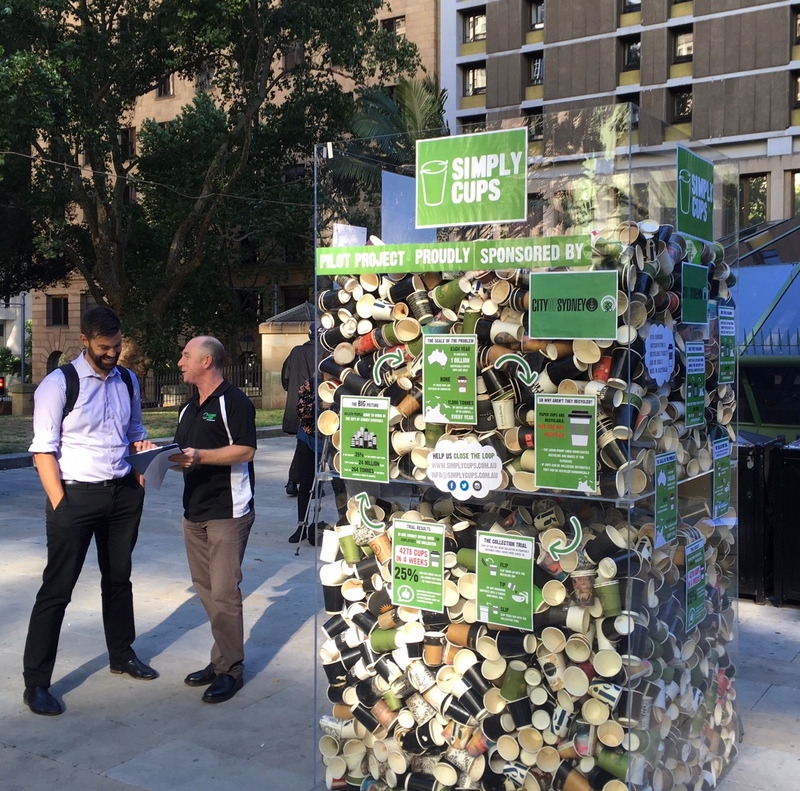 Closed Loop and their partner organisation the Australian Packaging Covenant, are trialing cup-only recycling bins in offices, to create a single waste stream that could attract a commercial market for them. This follows the success of Simply Cups in the UK which collects and recycles coffee cups into second-life materials using cutting edge technology. Closed Loop are currently running trials in Sydney, Melbourne and Brisbane, so watch this space. Thank you for making litter-free and waste-less neighborhoods' second nature. NB: Please note that this information is most applicable to people living in Sydney, NSW and may differ from state to council. * Check with manufacturer to be sure. **This is not intended as an endorsement of these products. Words by Asha Kayla, Sustainable Communities Manager.